*AdvaCare Ciprofloxacin + Tinidazole Oral Powders are GMP certified. 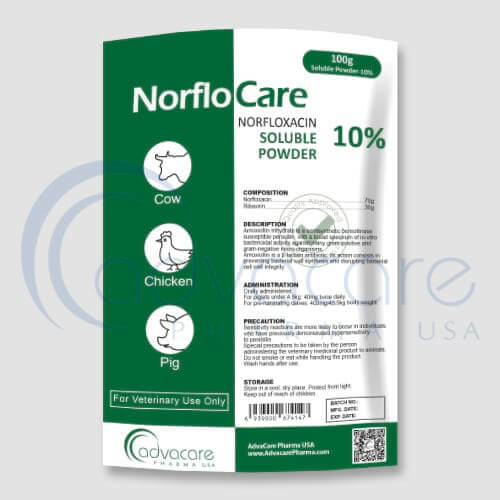 **AdvaCare Ciprofloxacin + Tinidazole Oral Powders are manufactured in our facilities located in China, India and USA. AdvaCare is a GMP manufacturer of Ciprofloxacin + Tinidazole oral powders. Ciproflaxacin + tinidazole oral powder is a combination medication containing antibacterial and antidiarrheal agents. These are used for the treatment of cattle, swine and goats. It acts by damaging DNA strands. This combination has the advantage of being effective against both bacteria & protozoa. Entameba requires normal faecal flora for its survival; ciprofloxacin kills the pathogenic intestinal bacteria & alters intestinal flora, & tinidazole directly eradicates Entameba. This combination can also be used in other systemic infections caused by susceptible organisms. It is used for the treatment of colibacillosis, pullorum & fowl typhoid, staphylococcal infection, salmonella infections, infectious coryza etc. and other secondary bacterial infections of viral outbreaks. As with all veterinary products some unwanted effects can occur. Always consult a veterinary physician or animal care specialists for medical advice before use. Common side effects include: vomiting, fatigue, abdominal pain, depression, dyspepsia, constipation, dry mouth, diarrhea, urticaria, convulsions & hematological changes. Always consult a veterinary physician or animal care specialist before using ciproflaxacin + tinidazole oral powders. It is indicated for the treatment of chronic respiratory disease, colibacillosis, pullorum & fowl typhoid, staphylococcal infection, salmonella infections; infectious coryza, secondary bacterial infections of viral outbreaks. It is broad spectrum antibiotic which has a safety margin even at higher doses and also has a rapid action and absorption rate. The solution can be administered through drinking water or mixed with feed. 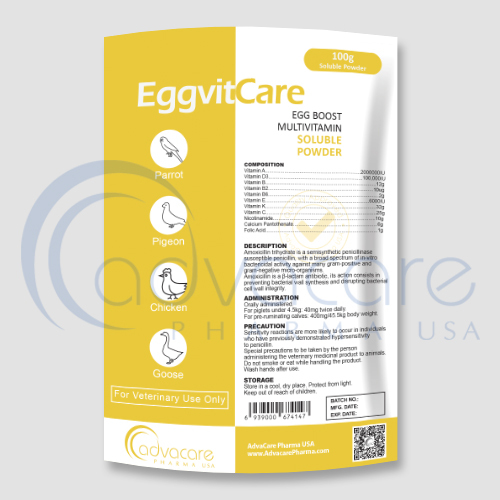 Refer to an animal care specialist for guidelines on dosage. Do not exceed what they advise, and complete the full treatment, as stopping early can result in a recurrence or worsen the problem. 8 days for sheep and goat from last treatment. Always consult a veterinary physician or animal care specialist before using ciproflaxacin and tinidazole oral powders. If the condition does not improve or becomes worse, then call a veterinary physician or animal care specialist.